On May 20th, Google began rolling out Panda 4.0 and shortly after we asked you to take our Panda poll. Thousands of you did and I wanted to share the results. 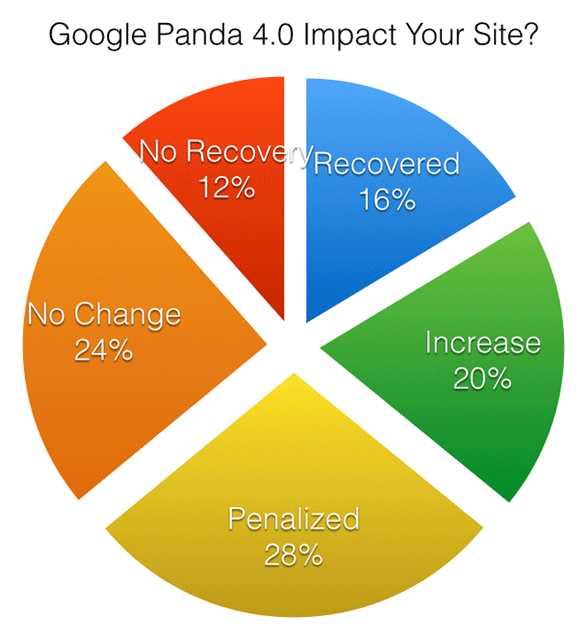 I asked, How Did Google Panda 4.0 Impact Your Site? I am surprised so many are claiming a recovery, that is over 200 of you saying your site recovered! Congrats! Forum discussion continued at Twitter, BlackHatWorld, Google+, Google Webmaster Help, DigitalPoint Forums and WebmasterWorld.